Aside from box office success, one thing most directors hope their film has is longevity. Not Joel Edgerton. The 44-year-old writes, directs and stars in Boy Erased, about so-called gay conversion therapy – which involves treating people to try to turn them straight. The practice has been widely condemned, but remains legal in many places. Boy Erased is based on a memoir of the same name by Garrard Conley, an American author who wrote about what it was like to go through one of the programmes. Having read the book, Edgerton was keen to adapt it for the big screen, and hopes the resulting film will form part of a wider movement to end the practice. “But in the meantime… it’s a great movie for parents who are dealing with anything akin to what Garrard’s parents are dealing with,” he says. 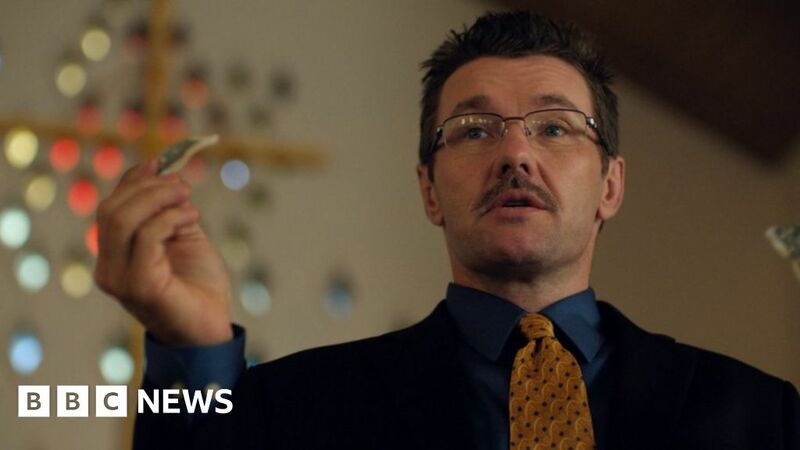 Edgerton says it shows “parents getting something wrong in terms of how to accept and love their child”, and audiences see “whether they’re willing to acknowledge that mistake”. In the US, conversion therapy is favoured by often religious parents who enlist their children in the hope of turning them straight. The film is insightful for anyone who has ever wondered what kind of methods might be used. Male participants are seen being given instructions on posture – for example, being encouraged to stand a certain way or not sit with their legs crossed. They repeat lines dictated by the coaches apologising for their sins, and are not allowed access to their phones and have to be accompanied during bathroom breaks. Gay conversion therapy is being outlawed in many parts of the world but it remains a controversial issue – especially in the US, where it is legal in 41 states. In the UK, it was announced last year that such therapies are to be banned as part of a government plan to improve the lives of gay and transgender people. A national survey of 108,000 members of the British LGBT community suggested 2% have undergone the practice, with another 5% having been offered it. However, there exists a strand of opinion that so-called gay conversion therapy is effective. In 2017, Good Morning Britain ran an interview with an advocate of the practice, which became the most complained about TV moment of that year. “I believe people are not born gay, that they come into homosexual feelings, and that it is something that in some cases is reversible for people who want to make that the trajectory of their lives,” Dr Michael Davidson told the programme. That school of thought is one Edgerton is hoping to help erase with the release of Boy Erased, which has received broadly positive reviews. “The film deserves praise not as a polemic but as a richly humanistic, emotionally searing drama that sticks in the memory,” said The Hollywood Reporter. Many critics picked up on the key role of Jared’s mother and father, played by Nicole Kidman and Russell Crowe (Garrard’s real name has been changed to Jared in the film). “To its great credit, Boy Erased never reduces Jared’s parents to monolithic, backwards-thinking caricatures,” said The Chicago Sun Times. Edgerton acknowledges that he didn’t want to make the characters of the parents into villains. He recalls reading Conley’s book and expecting there to be “blood and sweat on the pages, to be reading about vicious, awful parents”. “What I actually discovered,” he continues, “was parents who really love their child, who, given the information they had at their disposal, and the belief system they’d founded their lives on, were doing what they were doing as an act of love, with the intention of helping their son. “And that was far more complicated, I think, than the easy space we could’ve occupied, of going ‘the parents are evil villains and the therapists are evil people.’ Movies are definitely easier to read in that sense, but that would be dishonest. Conley has repeatedly shied away from attacking his parents for their actions – and has been criticised by some readers who said he has humanised them too much. “My parents made a terrible mistake which could have cost me my life. But they didn’t know what they were doing to me,” Conley told BBC News last year. The film closes with a series of captions about the number of US states where conversion therapy remains legal, and what happened to some of the characters in real life. Closing a film with such a campaign message is risky, and Edgerton worried about the film coming off as preachy as a result. “Absolutely, there was massive debate and my first point of view was I didn’t want to turn the film into a public service announcement by having statistics at the end of the film,” he says. January 29, 2019 Comments Off on Can Technology Help Fix the Housing Market?